Scientists have made an incredible discovery about the Great Pyramid of Giza which can focus electromagnetic energy in its internal chambers and its base. The mysterious structure was built by the Ancient Egyptians thousands of years ago – and experts are only just learning about its amazing powers. Boffins from ITMO University and the Laser Zentrum Hannover found that the 481-foot building is capable of creating pockets of higher energy in its inner rooms and at its base. The research group plans to use the results to design nanoparticles, which will be used to develop sensors and highly efficient solar cells, reports The Journal of Applied Physics. Dr Andrey Evlyukhin, scientific supervisor and coordinator of the study, said: “Egyptian pyramids have always attracted great attention. “We as scientists were interested in them as well, so we decided to look at the Great Pyramid as a particle dissipating radio waves resonantly. “Due to the lack of information about the physical properties of the pyramid, we had to use some assumptions. “For example, we assumed that there are no unknown cavities inside, and the building material with the properties of an ordinary limestone is evenly distributed in and out of the pyramid. Researchers modelled the distribution of electromagnetic fields inside the Great Pyramid of Giza while studying the interactions of electrical waves. Scientists have deduced that the pyramid concentrates this electromagnetic energy in its hidden chambers, which includes rooms containing the remains of Pharoah Khufu and his wife. There is also a third, unfinished chamber beneath the base of the huge structure. And the team’s analysis shows that the powerful pyramid concentrates electromagnetic energy in its internal chambers. These hidden rooms include the chamber holding the mummified body of Pharaoh Khufu – who the iconic monument was built for – and another built for his wife. But scientists believe the unusual discovery about the electromagnetic energy in the pyramid are just a coincidence. They believe it is highly unlikely Ancient Egyptians knew anything about the science behind it and would not have built it in this way deliberately. 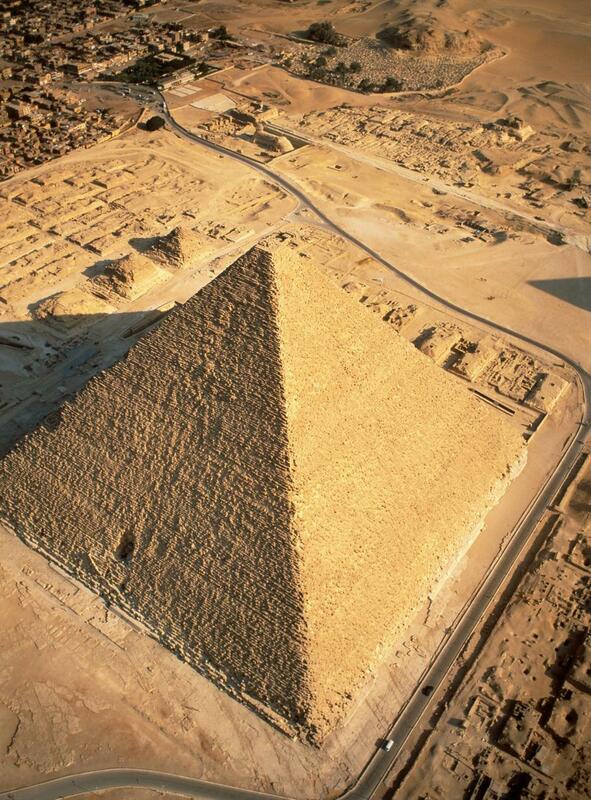 The pyramid took 20 years to build using around 100,000 slaves. Scientists now plan to use the incredible discovery on a much smaller scale, which could create effective solar cells. The higher energy can be used to develop extremely sensitive solar cells or even tiny sensors.